I’ll be photographing an array of career opportunities on offer at Stansted Airports Job Fair tomorrow that employs 11,000 people. 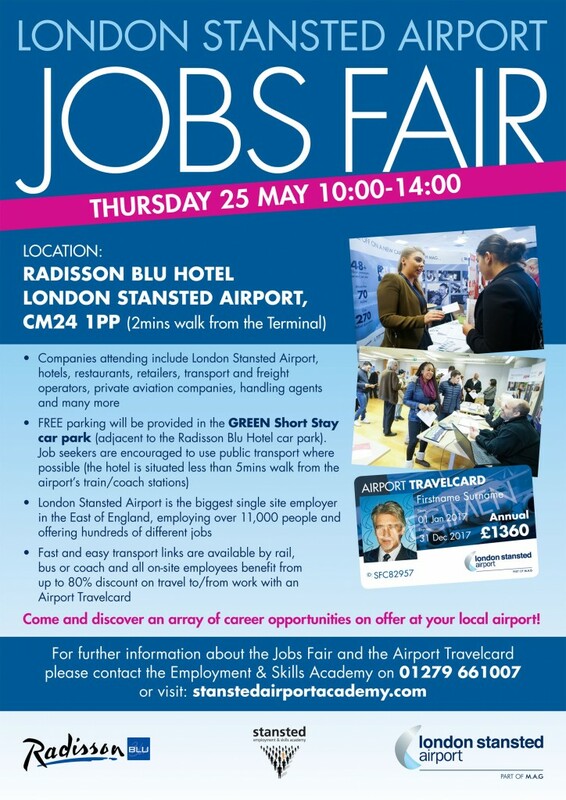 I’ll be photographing the London Stansted Airport jobs fair at the Stansted Radisson Blu hotel on Thursday 25th May 2017 – (2mins walk from the airport). Come along and discover an array of career opportunities on offer at Stansted Airport and meet the companies that help to employ the 11,000 people and offering hundreds of different jobs at the East of England’s airport. Posted on May 24, 2017 December 1, 2017 Categories Corporate Affairs Photography, PR PhotographyTags Airport Photo, BMI Regional, CAA, Corporate PR Photographer, Easyjet, Essex Photographer, Harrods Aviation, Jet2, MAG Airports, Pegasus, Photographer, photography, Radisson Blu, Ryanair, Stansted Airport, Stansted Airport Jobs Fair Photographer, Stansted Airport Photographer Tony Pick Photography, Stansted Radisson Blugrapher, Thomson, Titan AirwaysLeave a comment on I’ll be photographing an array of career opportunities on offer at Stansted Airports Job Fair tomorrow that employs 11,000 people.